With its distinctive design and an impressively dynamic driving experience on offer, the Jaguar XF has little trouble standing out from the crowd. In what is a congested class, the XF puts itself forward as an executive saloon that's sharp, refined and ready to deliver as soon as you plant your foot on the floor. 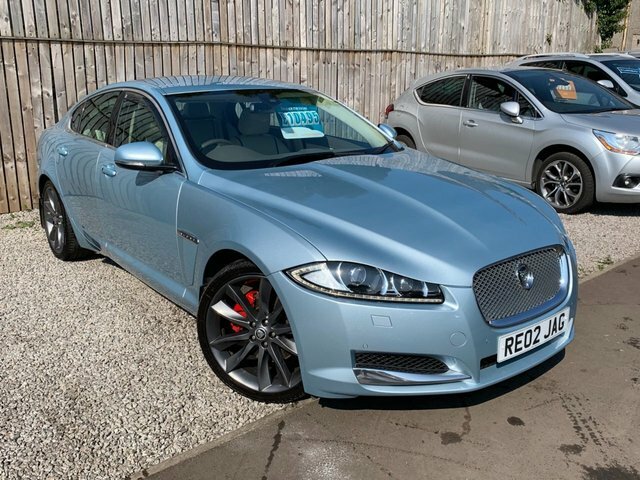 The best way to discover whether one of the used Jaguar XF models for sale in Dumfries is for you is to get behind the wheel. Contact a member of the team at Klic Cars limited today and we'll arrange a test drive in the model of your choice. You can also view our full range of used cars here on the website. Finance is available to UK residents aged 18 years or older, subject to status. Terms & Conditions apply. Indemnities may be required. Other finance offers may be available but cannot be used in conjunction with this offer. We work with a number of carefully selected credit providers who may be able to offer you finance for your purchase, commission may be received. We are only able to offer finance products from these providers. Postal Address: Klic Cars limited, 90-94 Annan Road, Dumfries, Dumfries DG1 3EQ. Find contact details here.